This article covers top McDonald’s interview questions and answers to get you ready for a successful McDonald’s interview. First, we’ll go over general information about the company and a little bit about what you can expect while interviewing and working there. Then, we’ll dive into the McDonald’s interview questions that you should expect to hear. We also provide answer suggestions for each of the McDonald’s interview questions to help you best prepare for interview day. The first McDonald’s restaurant was opened in 1948 with a small family-run staff. It has since become a massive international chain, employing over 375,000 people worldwide. Benefit packages are not to be expected for shift workers at McDonald’s. If you’re in it for the long run, however, benefits become more appealing as an assistant manager or above. In any McDonald’s position, you can expect sick pay and vacation time to begin after a year of employment. Additionally, you can receive an employee discount once per day. One of the main advantages of becoming a part of McDonald’s company is their schedule flexibility. Managers work with employees to provide personalized schedules around school or additional work obligations. According to testimonies from former employees and interviewees on Indeed.com, the McDonald’s doesn’t usually perform drug tests for employment. However, they do perform such checks for workman’s compensation. Now, read on to discover what to expect at a McDonald’s job interview. Does McDonald’s Do Background Checks? Some restaurants will perform background checks on their potential employees, while others won’t. There’s no surefire way of knowing exactly which ones will. This is because McDonald’s restaurants operate as franchises. These are some of the most common McDonald’s interview questions for the positions of Crew Member, Cashier, and Shift Supervisor. It’s important to note that as a McDonald’s crew member, your duties are likely to change regularly. You may find yourself dealing with customers directly as a drive-thru attendant or cashier. Other days, you might have cleaning duty or be able to work in the kitchen. Most of the following McDonald’s interview questions will be relevant no matter the role you’re interviewing for. A1: I love that McDonald’s offers affordable food for everyone. The McDonald’s menu is so big that I never get bored ordering from it. Working at McDonald’s would allow me to grow my food service skills in one of the most popular fast-food companies in the world, which I believe will benefit me greatly. Q2: What would you do if a customer complained about their drink? A2: I would apologize politely and replace it as soon as I could. Q3: How would we know if you are upset on the job? A3: I don’t let my personal feelings interfere with the quality of my work. That being said, if I were having a significant personal problem that may affect my ability to work, I would communicate that to a member of the management team. Q1: How would you deal with stressful situations? A1: I typically enjoy stressful work-related situations at the end of the day because they allow me to grow as a person and as an employee. Keeping a level head throughout difficult situations is the best way to go about making it through. Q2: What would you do if you came in on your day off and noticed a customer spill their drink on the floor? A2: I would quickly go ahead and grab a new cup for the customer and then mop up the spill. It wouldn’t take more than a few minutes, and I’d be helping both the customer and the rest of the team. Q3: Why should we choose you over other candidates for the position? A3: I’ve had previous experience working in a fast-paced environment, and I enjoy the challenge. Also, I do well working with people. I like making customers happy, and I would like the opportunity to learn more about customer service by working at McDonald’s. Q1: Why is communication so important in food service? A1: The number of things that can go wrong in food service can be nerve-wracking. Staying on top of communication is key to accurate orders. I like to encourage my team to speak out loud to one another often, especially during rushes and lunch hour. Q2: What would you do about a customer who is yelling about a mistake with their order? A2: Making sure that you show the customer that you care about their concern is the first step to getting them to calm down. When customers create a scene, it’s sometimes because they don’t feel like their voice has been heard. By letting them know that you understand why they are frustrated and that you mean to fix the issue, they will usually calm down. In the rare case of someone who refuses to reason with you or leave, there are times where it becomes acceptable to ask the person to leave. As I am in charge of the safety of my team as well, I have no problem getting the law enforcement involved if customers don’t comply and continue to yell. Q3: How would you encourage slow-moving employees to pick up the pace? A3: I would position the slower employees in between faster workers to encourage them to work quicker. That usually creates improvement. If that doesn’t work, I would sit down with them and impress upon them the importance of doing their job in a timely manner. I’d make sure to preface the talk by assuring him that they are valuable members of the team. Afterward, I would communicate that they need to make an effort to speed things up for the sake of the team. Sometimes, implementing a reward program for employees who complete the most tasks within a week raises productivity. There’s a lot on the McDonald’s menu. You’ll need to know it front and back when you work there. There’s no harm in starting to learn the menu before you go in. In fact, it’s likely that you’ll be asked about menu items during your interview. At the very least, you should come ready to answer questions about your favorite McDonald’s menu items. McDonald’s is looking for bright, bubbly personalities. Especially if you’re going for a front-of-house position, like a cashier or a drive-thru attendant, be sure to pay extra attention to your demeanor. The best thing you can do to improve your chances of being perceived as an outgoing, friendly person is to smile and make eye contact throughout the interview. Also, keep your tone of voice calm and upbeat. When you are contacted to set up an interview, ask the person you speak with what you should wear. Much of the time, McDonald’s applicants can show up in casual wear. However, some franchisees expect interviewees to come better-dressed. If no instructions are given, go with a polo shirt or a button-down shirt and a nice pair of pants. Other restaurant opportunities with Red Lobster Interview Questions. A different niche in the retail sector with GAP Interview Questions & Answers. Do you have any additional McDonald’s interview questions or tips to share about the interview process at McDonald’s? Let us know in the comments! 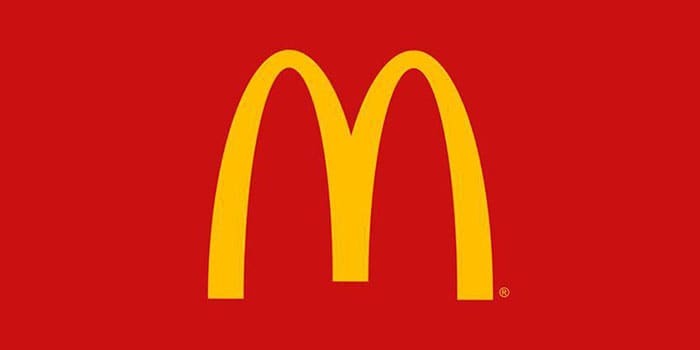 For more information about working at McDonald’s, visit their Glassdoor McDonald’s profile. You’ll be able to find information about McDonald’s benefits, salaries, and more. It’s always a good idea to do your research about a company before you interview there, and McDonald’s is no exception. Try visiting McDonald’s official website to get familiar with their menu before you go in for an interview. Expect at least one of your McDonald’s interview questions to involve menu items.